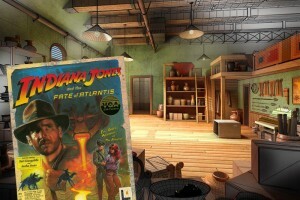 Ready to blast through Chemical Plant Zone once more, but now in stereoscopic 3D? SEGA hopes you are with M2‘s latest GigaDrive-enhanced Sonic game: 3D Sonic The Hedgehog 2. Chances are, if you played Sonic 2 at any point in the last 20 or so years, you already have a good idea of what you’re getting into: 11 zones, seven Chaos Emeralds, two playable characters, and one spike pit of death. But like Sonic 1‘s GigaDrive release, Sonic 2 comes with its own set of enhancements, such as filters to make the game look like it’s running on an old CRT TV, audio modifications to make it sound like it’s on the MegaDrive 1 or MegaDrive 2, and of course the fan-favorite addition of save states. Because, you know, Metropolis, Wing Fortress and Death Egg usually sends people to the Internet to angrily complain about how cheap the game is. But maybe this isn’t the case this time. M2 realizes some people have trauma over Death Egg Zone or may find classic Sonic games hard, and have made a new gameplay mode for the game called Ring Keep. Players begin a level with 10 rings free of charge. If you take a hit, you only lose half of your rings instead of all of them. 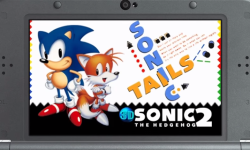 3D Sonic The Hedgehog 2 also features local co-op play in Sonic 2‘s multiplayer mode. 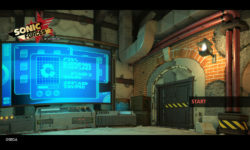 The mode models the original multiplayer, so only three zones and the special stages are available. Two 3DS’ and two copies of the game are required to play, naturally. 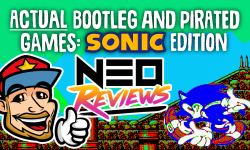 It’s a shame SEGA is leaving Sonic 1 and 2 (2013) to rot on mobile, as both are very much the definitive versions of the games, but are more than happy to release a rom in an emulator shell. It’s an old song and dance often griped about, but SEGA of Japan is known for being ignorant of common sense. If president of SEGA Games Co. Haruki Satomi’s words of SEGA wanting to earn back the trust of gamers is true and not just crocodile tears, this may be one place to start. The game hits the Japanese eShop Jul. 22. The post 3D Sonic The Hedgehog 2 Detailed appeared first on Sonic Retro.